Bali isn’t big but what it lacks in size it makes up for with diversity. As a travel destination it’s firmly established in the top league of tropical paradises to visit. There is something for everyone on Bali, whether you are part of large group of Australian sunseekers or own your own looking for some cultural high life. Most journeys start at Denpasar International Airport on the southern tip of the island and from there all the major sites are within one days travel. For the solo traveler Bali offers lots of different places to hang out and meet other travelers or the friendly locals. From the airport many solos will take a taxi towards the resort area of Kuta/Legian/Seminyak which sprawl along the south -west coast that’s pounded by the Indian ocean surf. This area is best approached with an open mind. If you are into surfing and partying then few spots on earth come close to this area. The beaches are some of the best on the island and it’s easy to find a quiet spot away from the madness. There are all the comforts of western chains in Kuta but you only have to walk a few streets away and you’ll be in another world, where friendly Balinese will serve you up Gado Gado for less than $1.00! Bali accommodation is cheap and even double rooms are affordable if you are alone and the area caters for every budget and taste. Despite the reputation for being rowdy with large groups you will certainly not stick out here if you are alone. Lots of bars and restaurants are well set up for solos and by sitting at a bar alone it won’t be long before you’re chatting to some new friends. One tip – take group surf lessons, it’s a great way to meet others. Around 100km north of the southern Bali area, is a gem and one of those places where many travelers end up staying for much longer. Ubud is very much the cultural center of Bali but it’s also as geared to tourism as much as anywhere else on the island. It does however act as an excellent base and is a must visit. Watch out for those monkeys though! There are plenty of tours that you can take from Ubud and lots of cute little cafes to hang out and mingle with other travelers, friendly expats and locals that live in the town. Nestled on the north coast, Lovina is a low key resort that’s very much on the backpacker beaten path and can provide an excellent base to the northern volcanoes and coastline which features spots to dive or just be a beach bum. 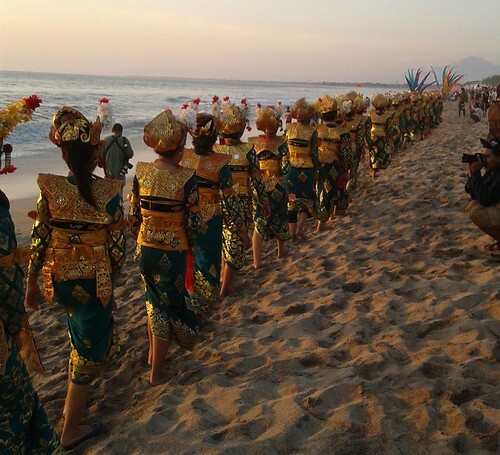 Bali is particularly good for solos because of the many activities on the island, both in sea and on land, so it’s very easy to hook up with other like minded folk. Indonesians too must rate as some of the friendliest people on the planet, are very welcoming and proud of their nation, and so they should be. Bali is a great jumping off point for many of the surrounding islands, not least the famed Gili Islands, which are located just off Lombok. You can also travel overland to Java and explore this highly populated muslim island, with lots of historical places to explore. Flores and Komodo island are also a short hop from Bali. Denpasar International Airport is one of Indonesia’s busiest, with flights around Asia and beyond. There are many flights over to Australia, and they are cheap too, making destinations like Perth attractive, if you are looking for a change from Asia. Dry season April – October, Wet Nov to Mar but still ok year round as wet season tends to be late afternoon rains. Denpasar Internation Airport, direct flights from most Asian countries and Australia. Connect in Asia, e.g. Singapore, KL, Bangkok from Europe/North America. Generally safe for solo female and male travellers. Bali is Hindu so unlikely to be the hassle experienced by females in other muslim countries. Most dangers evolve around transport accidents, beach safety with strong rips in the ocean. Generally pretty cheap compared to Europe/USA particularly away from the large resort areas. Single rooms rare but doubles and twins pretty cheap anyway. Not much in the way of dormitory style accommodation. 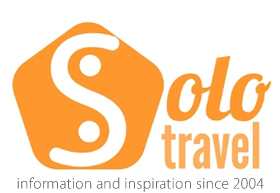 Looking for a Bali or Indonesia tour group that is solo friendly? Check out some of the companies below for their latest Panama trips! Intrepid does a number of trips to Bali, Lombok and the rest of Indonesia, and also longer trips through Asia too. We highly recommend them! They are suitable for people from all countries, ages and particularly solo travelers! G Adventures also covers bali in their massive portfolio of trips in the Asia. They are for people of all countries and get rave reviews from younger solos!